If you’ve been following this blog, you’d know I don’t jump into eczema (miracle) cures. I still don’t. But as I read journeys of how eczema sufferers are cured, I realized that there are common approaches they take. These may not be THE (or even an) eczema cure but I think there’re certain situations which they may help improve eczema. I hazard a guess and this series is more about a holistic approach to controlling eczema – I suppose you can call it a cure if one approach singularly works well for you! Many eczema sufferers are wary of chemical and steroids. I agree but am also wary of going into extremes of attributing everything bad to chemicals and steroids, especially given that eczema is a condition that comes about from many factors (so would focusing on just one aspect be over-simplification?). But I’m definitely supportive of home remedies that work – if they work without side effect! Watch the video on how to moisturize baby’s sensitive skin. 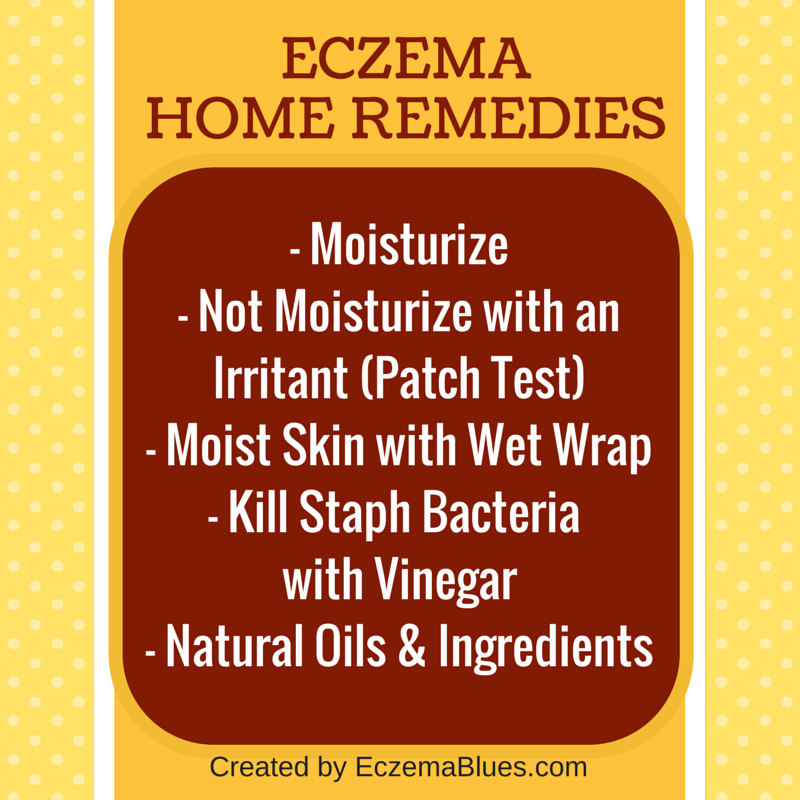 There are also sharing by eczema sufferers that their eczema improved after STOPPING moisturizer use. My guess is that there could be ingredients in the moisturizers that they have been using that are triggering the eczema, a form of contact dermatitis. There is a test to determine which ingredient in skincare product that you could be sensitive to, known as patch test (interview with Laura Verallo Rowell, CEO of VMV Hypoallergenics). There are indeed individuals whose skin are sensitive to many common ingredients and therefore, it would make sense for this selected group to stop moisturizer use. Not for general population with dry skin though. To be safe, start off with a moisturizer that doesn’t contain the top irritants, compiled by dermatologist Dr Verallo Rowell with alternative names to these irritants. I wouldn’t really call it a ‘home remedy’ as clothing products that are able to trap moisture close to the skin and studied to improve eczema usually have invested money into the technology behind the clothing. One such technique is Wet Wrap which had been shown to help eczema and if you’d like to know more about what goes into the wrap and how to use it, read here. My national (Singapore) eczema support group also runs regular wet wrap session, do sign up at the top right box of my blog to be kept posted! Staph bacteria is a common cause for eczema where increasing research showed that eczema skin is colonized by this bacteria which produces toxins that can worsen skin inflammation. There are ‘natural’ ways to kill the bacteria, for instance swimming or bleach bath or shower with a chlorhexidine-based bath wash. If you don’t like the idea of bleach, read this interview with dermatologist Dr Cheryl Lee on vinegar spray. There are also quite a few natural ingredients that have anti-inflammatory properties like honey, lavendar or able to protect skin like colloidal oat (interview with dermatologist Dr Claudia Aguirre). Personally, I feel that the biggest home remedy is to avoid triggers. Logically it makes sense to identify these triggers because no treatment or remedy can be helpful if the skin is under constant ‘attack’. After which, I do believe in moisturizing and as for using natural ingredients, I’m all for it as long as it’s not something that irritate you (beware that natural does not equal no hypersensitive reaction) nor past expiry (as a home-made product may be less stable so the expiry date matters more). Welcome and have a good day! I emailed you previously regarding my sons exzema at his neck area. Just to share that since about a month ago, I started using Physiogel cream (not the A1). I think it’s thicker than lotion but lighter than A1, with my mil home remedy of tapioca starch. His neck improved tremendously. If she had told me earlier that she would use the starch, I would not have agreed. But she tried it without asking me and hey it really cleared away the red patches. At times it would become very dry and flaky and I would then apply the fren. So his skin is very much better, only with the occasional red patches and rashes when it’s too hot. However he do want to scratch at times. I think his recovery is also become he drooled less after his first two teeth popped and we now take care to keep neck dry. Sometimes his red patch looks like the stalph you mentioned but it’s dry and nothing else. Is it really stalph and dangerous? Hi Aimei! Good to hear your son’s neck is better. I think the starch works like a moisturising ointment – thick enough to prevent skin drying out. Staph bacteria is generally not dangerous for most people – it’s not uncommon for people to have both good and bad bacteria on the skin. It’s that eczema skin seems to have more of the bad bacteria which unfortunately also promotes inflammation and is a source of bacterial infection. Can try buying a chlorhexidine-based shower lotion the next time you see your doc, or just weekly wipe his skin with chlorhexidine (the neck is one of those areas stated on the bottle not to be wiped but I always done so). Or swimming, but different kid reacts differently to pool water. Take care and thanks for the update!